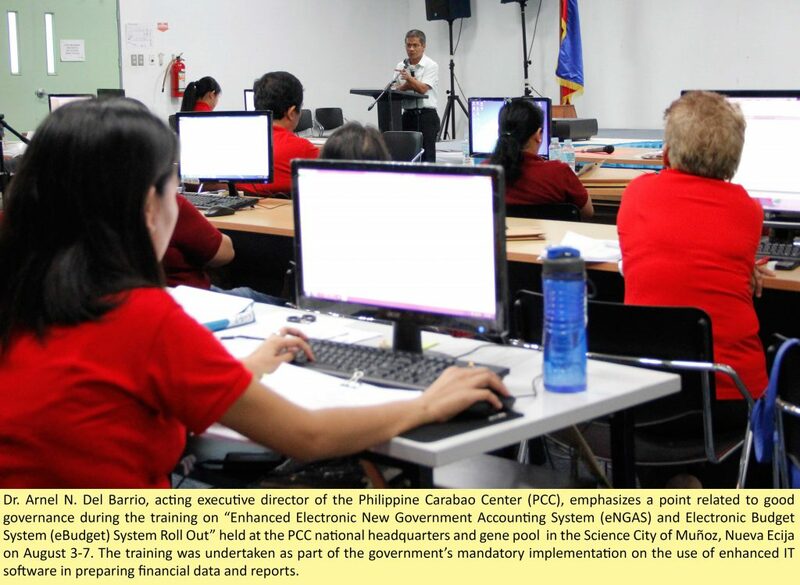 “In just one click, we can now easily generate and track financial reports from the computer regarding how much funds were utilized and disbursed by our agency by using the enhanced eNGAS and eBudget system software that were developed by our national government,”Jean Gasmeña, chief of Philippine Carabao Center’s (PCC) administrative and finance division (AFD), declared in the aftermath of the “Enhanced eNGAS and eBudget System Roll Out” training held August 3-7 at the PCC national headquarters and gene pool in the Science City of Muñoz, Nueva Ecija. 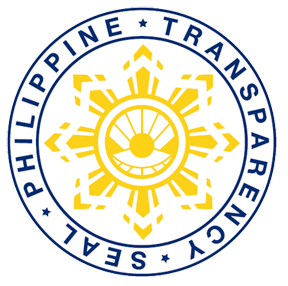 The training is part of continuing efforts of the national government aimed at improving efficiency, accountability and transparency in the use of public funds, particularly in the context of the public financial management program (PFMP). The PFMP is being implemented in accordance with the PFM Reform Roadmap: Towards Improved Accountability and Transparency, 2011-2015, with assistance from the Australian government, which committed A$30 million to the PFMP. The PFM Reform agenda aims to improve and harmonize the financial management processes and information systems of the Philippine civil service. “The program envisioned that five years from now, as part of harmonizing the PFMP processes, all fund utilization and disbursement by the government will be easily created and uploaded to a website,”Gasmeña said. The enhanced eNGAS (New Government Accounting System) and eBudget software was developed by information technology (IT) experts from the Commission on Audit (COA) for use in the submission of financial reports required by the Department of Budget Management (DBM), COA and Department of Finance-Bureau of Treasury (DOF-BTr) from government agencies. “Likewise, it is adapted to the international standard for financial accounting and now being used by government bookkeepers, budget officers and accountants nationwide,” Gasmeña said. “It is also compliant with the Philippine Public Sector Accounting Standards (PPSAS), Revised Chart of Accounts (RCA) and Unified Accounts Code Structure of the government,” she stressed. For PCC’s part, Gasmeña mentioned that the training was important for the agency to comply with mandatory rules or systems that were introduced by the government. By using the software, she said, there will be congruency and uniformity with the terms, codes, and account titles used in their reports. Moreover, it is user-friendly and can generate financial reports in lesser time and with more accuracy, she said. “It can also be of help to PCC in making sound decisions relative to its budgetary planning,” she further said. Meanwhile, in his message during the closing ceremony, Dr. Arnel N. Del Barrio, PCC acting executive director, said that the training is of great help to PCC in complying with pertinent standards. “I believe that one measure of how a particular agency performs well is through its effective and proper use of its budget. Being more transparent with regards to our fund utilization and disbursement is I think very important to show to the public how well we manage our activities and funds,” he pointed out. The training was attended by 34 staff from PCC’s national headquarters and 13 regional centers nationwide. They included the agency’s accountants, budget officers and bookkeepers as well as personnel from its information technology (IT) and cash units. IT and financial accounting experts from the Commission on Audit (COA) served as resource persons, namely, Marlon R. Marquina, Romeo C. Cruz, Jorgen C. Fulleros, Michelle M. Gargarra, Lara Jane M. dela Torre and Sarah Joy M. Labino.